1-Never forget that everything you write can be read both by staff and prisoners. Prisoners usually come across the work after a friend or family member sends it to them. 2-Continue to develop new content. As a man who wrote a daily blog from Taft Federal Prison Camp, I can tell you that writing endlessly about your prison routine will get boring. At some point readers will grow tired of hearing what time you woke up or what you had for lunch in the chow hall. Your blog, just like your prison term, should evolve. Don’t be afraid to dive into subjects that are influencing the way you serve time. Your perspectives will change and you may develop a different tolerance for the people with whom you are serving time. Open up, be transparent, bring people in. 3- Don’t worry so much about edits or grammatical structure. Focus on authenticity and capturing once in a lifetime moments. 4- Own it! Writing about my crime in a blog, paradoxically, brought wonderful results and people back into my support network. Rather than blaming, complaining or rationalizing, I openly displayed my remorse, contrition and the lessons I was learning through my prison adventure. 5- Besides staying productive you will be developing a new skill set: you will be writing more, learning new words, reading more books to develop content, and growing your support network. 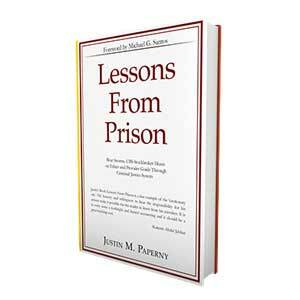 For those who have interest in following my prison advice I encourage you to document the journey. If you follow these tips on how to blog from federal prison, you will be more productive, happier, and you will leave with a greater sense of meaning and purpose. If I did it, so can you! I am contacting you from California. My husband is in Coleman Federal Prison. He has asked me to try and find a website that he can continue to write a blog form on. We are very interested in your services. Any information pertaining to this matter is greatly appreciated. Hi Heather, I would be happy to explain. 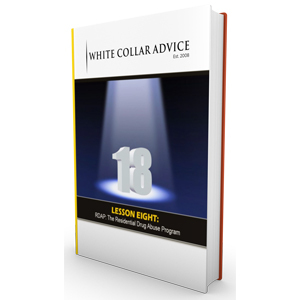 Please email me at jp@whitecollaradvice.com and I will walk you through process. Thanks!